Foot and ankle injuries are very common that it’s safe to assume everyone has had one at one point or another. Foot and ankle injury can occur while engaging in recreational or sports activities, doing work-related tasks, or working on projects at home. 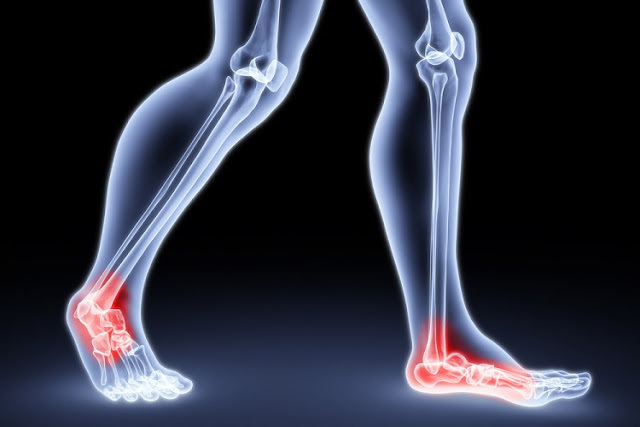 What are the common causes of foot and ankle injuries? In children, majority of foot and ankle injuries occurs while playing, doing sports, or during falls. Foot and ankle injuries are also more prevalent in sports that entail jumping and quick direction changes (soccer, football, and basketball). Certain athletes (gymnasts, dancers, basketball and soccer players, etc.) are also more susceptible to foot and ankle injuries. What are the home treatment remedies for foot and ankle injuries? Minor foot and ankle injuries often respond to home treatments. Remove all anklets, rings, and other jewelries on the leg or ankle as it might be difficult to remove them if swelling occurs. To help ensure scarring and infection are prevented, it would be best to clean any wound as soon as possible. Use the R.I.C.E. (rest, ice, compression, and elevation) technique to help relieve the swelling and the pain. If pain is minimal, gently rub or massage the area to encourage blood flow and ease the pain. At least for the first 48 hours after the injury occurred, refrain from doing anything that might increase the swelling (i.e. hot tubs, hot packs, alcoholic beverages, and hot showers). Start gentle exercises utilizing the MSA (movement, strength, and alternate activities) technique. Movement – after an injury, it is crucial to be able to regain full motion range as soon as possible. With that in mind, it is advisable to begin moving the injured area after 24 to 48 hours of rest. However, if any activity causes pain, give the affected area some more rest. Also, to prevent scar tissues from developing (and decreasing movement in the process), gentle stretching is also encouraged. Strength – once the swelling has disappeared and range of motion has been restored, effort to gradually strengthen the injured area is recommended. Alternate activities – while healing, incorporating regular exercises in the routine is prescribed, as long as it does not put strain and stress on the affected area. Understandably, if the foot and ankle injury is severe, seeking immediate medical attention is recommended. What are some of the effective ways to prevent foot and ankle injuries? Change your running shoes often. Ideally, getting a new pair every 3 months (or every 500 miles of wear) is recommended by experts. Overworn footwear may no longer be able to provide the needed protection and traction and may no longer be able to absorb shock. Be reasonable when training. While at times tempting, refrain from running or training uphill or drastically increasing the miles you cover. In addition, excessive sprinting is also discouraged. Also, before and after exercising, make sure you do some stretching exercises. Always wear protective gear during recreational activities/sports. The importance of wearing protective gear cannot be overemphasized. In addition, make sure you also observe the correct techniques when engaged in sports or recreational activities to lessen stress and strain on your foot and ankle.